I remember how, when we were little, my siblings and I begged our parents to buy cereal because of the prize inside. Almost always, though, we were disappointed by that prize. For the large, sturdy toy pictured on the outside of the box turned out to be a fraction of the size and often broke even as we were trying to put it together. Sin is like that. It looks attractive, desirable, must-have, must-do. But it never ends up as good as the picture. Satan's deceitful depiction of sin's consequences (he said there were none) convinced Eve to disobey God and put us on the sinful road we're on (Genesis 3:13). Deceit drags others into its net (2 Timothy 2:14). Deceit multiplies (2 Timothy 3:13). The deceived life is one of dissipation and selfishness (Titus 3:3). Continuing to live in deceit results in corruption (Ephesians 4:22) and death (Romans 7:11). We are to exhort our Christian brother or sister if we see them being deceived by sin (Hebrews 3:13). "Unbelief is caused by a hardened heart, which is caused by the deceitfulness of sin. The result is apostasy, departing from the living God .... Constant encouragement in the midst of a caring fellowship will help believers remain faithful" - Guy P. Duffield, New Spirit-Filled Life Bible, notes on Hebrews, p. 1733. 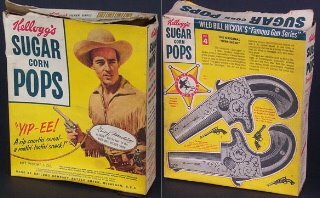 I vaguely recall that often there was, beside those cereal box pictures, a disclaimer that read (in very small print) "Not exactly as shown." Next time we're tempted by sin's attractive image let's imagine those same words beside it: "Not exactly as shown." PRAYER: Dear God, please open my eyes to sin's deceit. Help me to see past the pretty picture to the lie it represents. And give me the love and courage to exhort others when I see them being deceived. Amen. MORE: "Sin lives in a costume..."
"Sin lives in a costume; that’s why it’s so hard to recognize. The fact that sin looks so good is one of the things that make it so bad. In order for it to do its evil work, it must present itself as something that is anything but evil. Life in a fallen world is like attending the ultimate masquerade party.